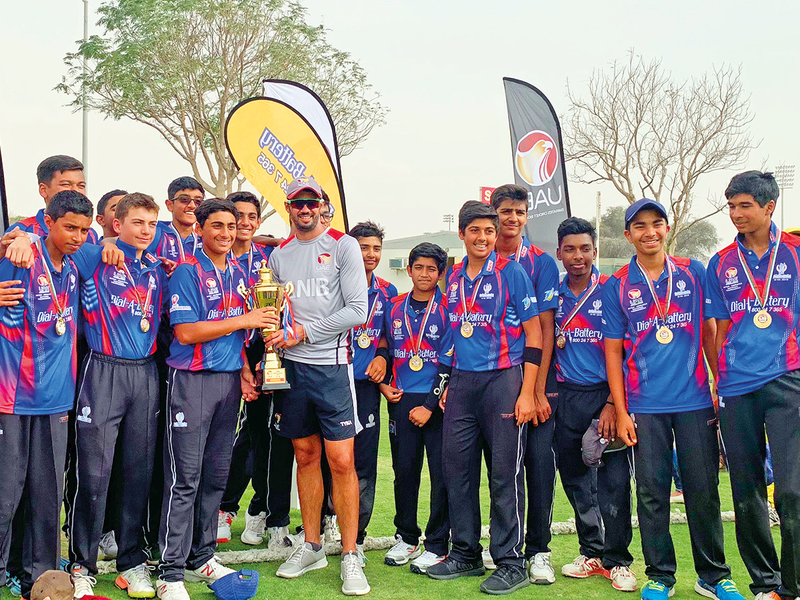 Dubai: Dubai Cricket Council’s Under-16 team emerged as the champions of the U16 UAE Cricket League Trophy held at the Sevens ground. In the final of this inter-emirates tournament organised by Emirates Cricket Board, DCC beat Sharjah Cricket Council. Dubai, Sharjah, Abu Dhabi and Ajman Councils had participated in this cricket league. Sharjah had reached the final having topped the pool with three wins out of three matches and even beat Dubai just three days before the final. In the title clash, Dubai posted 210 runs in 50 overs with Ali Naseer top scoring with a rapid fire 49 runs. Dubai spinners bowled out Sharjah for 111 runs. This was the fourth consecutive time that Dubai is winning this title. In the third and fourth play-off match, Abu Dhabi posted 267-7. Ajman chased the total but fell short of the target by eight runs.